Matt leads a highly talented and experienced leadership team supporting all of Padilla’s offices and brands. He also is a sought-after marketing, communication and business counselor with expertise in branding, corporate communication, reputation management, and crisis and critical issues response. Matt has planned and implemented strategic communication, brand building, and reputation management programs and projects for a wide range of Padilla clients, from global Fortune 500 enterprises to promising category challengers. Clients benefitting from Matt’s experience include Rockwell Automation, Mayo Clinic, Blue Cross Blue Shield of Minnesota, Be The Match, Tyco Retail Solutions, 3M, Valspar, Microsoft, Cisco and numerous others. He has extensive expertise in brand and reputation management, message development, thought leadership, integrated campaigns, new product and service launches, and major company transformations. He leads and facilitates brand strategy sessions as well as customer advisory council meetings. 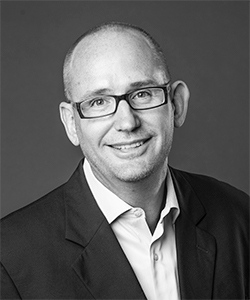 Matt is one of the agency’s primary liaisons to the Worldcom Public Relations group and served as global chair. He also is one of the agency’s highly requested executive media and presentation coaches. In his spare time, Matt is an adjunct faculty member for the Master’s in Strategic Communication program at the University of Minnesota and sits on the boards of Pheasants Forever, Greater Twin Cities United Way, and the Minnesota Chapter of the American Heart Association. He is a member of the Arthur W. Page Society “Page Up” program and an accredited member of the Public Relations Society of America.